I shop online several times each week. Why do I wind up spending more money online than I planned? Two thirds of Millennials prefer digital shopping over physical stores, which is no surprise since they grew up with the Internet. Many actually shop online while inside a physical store. Cost and convenience are the obvious reasons consumers shifted from retail stores to online shopping. As shopping choices change, so do spending habits. Research shows that almost 80% of Americans are online shoppers, with 15% making weekly purchases. Over 50% have purchased something with their mobile phone, and e-commerce is growing 23% year-on-year. Major players such as Amazon are now larger than any physical retail chain. Online shopping offers significant advantages over traditional stores. Competition is fierce among the big and small e-tailers, which has pushed down prices. Nearly 65% of shoppers say that they compare prices between stores and online websites, and buy the cheaper one. The ability to read product reviews before making a purchase is another online consumer benefit. 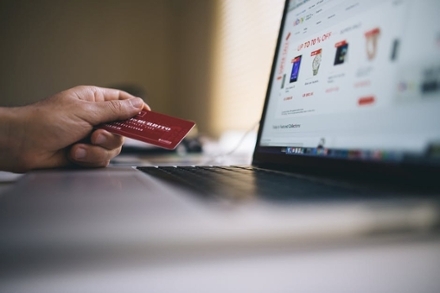 Research shows that shoppers spend more time online than in a store, and nearly half of online shoppers report they spent more money. There are a number of reasons, technically and psychologically, why consumers may end up spending more money online. Your virtual cart is never full, so you can keep adding items. Free shipping is another incentive, adding to your savings over driving to a store. There is typically a minimum amount for free shipping, which can encourage you to purchase more items. Internet sites have very liberal return policies, which gives buyers confidence when making a purchase. Browsing is designed to be easy and enjoyable, offering greater accessibility to products. Once your preferences are determined by the website’s software, you are presented items that other shoppers like you already bought. You are provided a personalized and tailored shopping experience, which physical stores cannot duplicate. After you visit an e-tailer, you may find targeted ads appearing when you visit other websites, reminding you about an item you viewed. The ability to offer endless features to a product can also be enticing for customers, explains a marketer of acrylic prints. "A bricks-and-mortar store would never be able to stock or display our inventory. Our ability to customize the product assures higher customer satisfaction." Spending-based discounts are widely offered, with the more you buy the more you save. Products are also strategically marketed towards you and prices are dynamic. Depending on the time of day, you may see a different price on the same item. The software is constantly learning about consumer behavior and adjusting prices to maximize sales. Ever-changing inventory is another exclusive feature for online shoppers. The ability to return to the same website and have an entirely different selection drives sales, reveals pet marketers at MDPuppiesOnline. Each pet is unique and you have to keep checking online to find the one you want. Once you are done, checking out is designed to be simple, with no physical cash or credit cards and no lines at the counter. Then, there are follow-up emails to remind you of products you viewed, advise you on special sales, or ask for feedback on a purchase you made. Online shopping provides significant cost and convenience benefits, providing you can control your urges. I haven’t reported my missing credit card to the police because whoever stole it is spending less than my wife - Ilie Nastase.